As we are a third into our Health Coaching course that began last September, new participants are lining up for the new course starting December 7, a Monday, at 6:30 p.m. at my office in Blacksburg. There is room for a few more persons. The cost is $120 for the entire course, twelve one and a half hour sessions spread out over six months. A lot of the course deals with nutrition, offers recipes, etc., but beyond that it explains how your decisions affect your life style. A balanced life style gives you peace and happiness. So come on and sign up. Whether you need to lose weight or are looking for something else, this will be a life-changing experience! Comment from a present participant: "I have already met two of my three goals!" 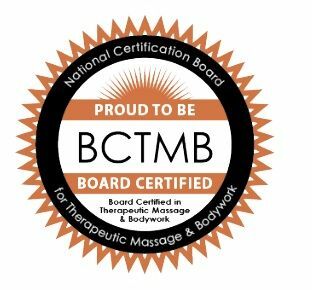 Since April of this year I am now a Board Certified Massage Therapist. Do You Also Have So Little Time To Cook? I understand that the battle many people have with healthy eating is lack of time. Just as many working parents drop their children off at child care, so now working parents can have fresh cooked food delivered to their home. That is if you live in Roanoke. "Food Prep Services" (Roanoke Times, Sunday, November 15, '15; business section) was born in Roanoke about two weeks ago. The meals include a vegetable, a protein, and a carbohydrate. They are lovingly prepared from fresh materials. Minimum order: five meals. They are very reasonably priced. How did I take care of myself and cook a meal when I was a full time teacher in Yemen and came home tired from school? I had a "maqla", a small, stone cooking pot which could go straight on the fire. I browned some butter in the pot, sautéed snippets of onion, added 1/4 cup rice, then added 2/3 cup of water. 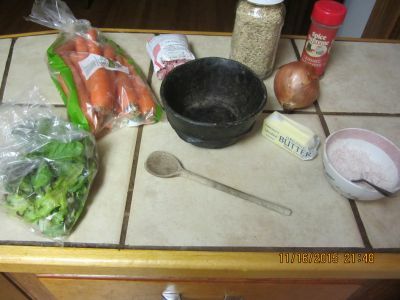 I piled washed and cut vegetables on top of that, and, maybe 1/6 pound ground beef. Then I put the lid on top of the pot and turned the heat down. After 45 minutes my meal was ready. (Half that time if I used white rice.) One could vary the vegetables and/or the grain, or, instead of the meat, break an egg over the pile of food two minutes before the cooking was done, etc., etc. If one would do this daily--and the maqla could be replaced by a sturdy saucepan--one would experiment with different ingredients, and enjoy regular, cheap, and quite nutritious meals. A small bowl of yogurt sweetened by some maple syrup could be your dessert, and while the pot was cooking you could rest your feet and enjoy a little nap. But careful, don't let the food burn!